I've covered how awesome Chromer is, right? 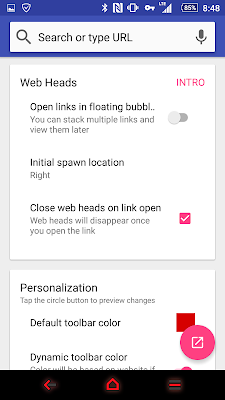 Here's a recap; It allows you to the joy of clicking on links within any app and then slide in a chrome tab that allows to browse directly from within any app. 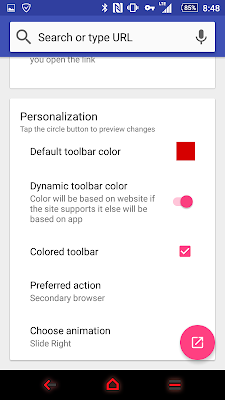 It's making use of the new features available with in Chrome and extends it to all the apps. The latest on the subject is that Chromer has undergone a major update, which in turn will benefit us the users. 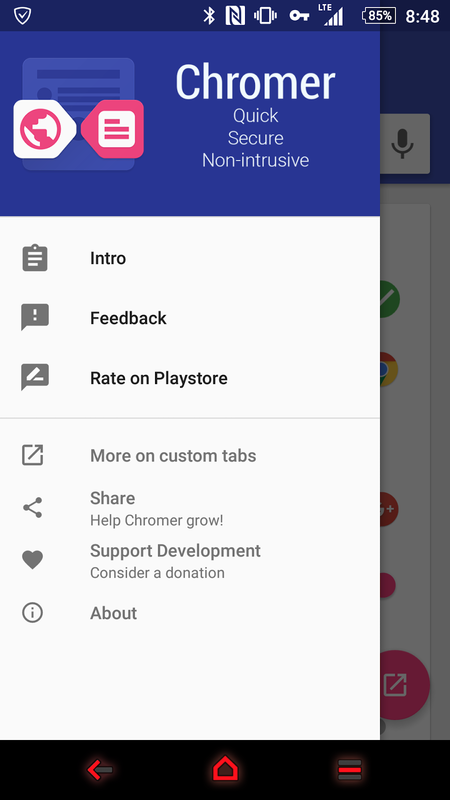 Within Chromer we have a revamp hamburger menu, new logo placement, style and even a link to get more information on the nature of the custom tab and all the fun stuff that the developer wants you to know. The overall presentation of the options available have been improved, the performance and big fixes are quite visible not to say that there was any issues before, but if you've paid attention, you've noticed these things. We do have some new elements for choices such as a secondary browser, favorite share app which would add to the experience in the event that you have more than one browser and or a sharing app that you prefer by default. A whole new element was introduced with the "web head" option. 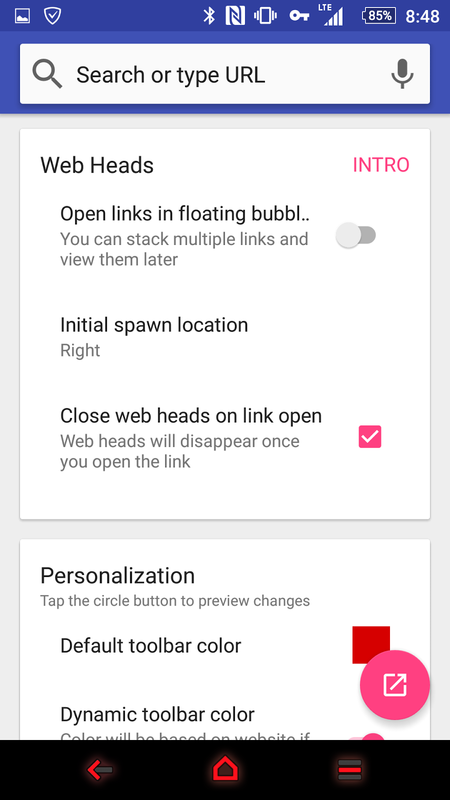 The ability to have a floating bubble window similar to "Link Bubble" was added, not something I cared for much personally, much like Facebook "Head" style. Now came time to check up on the "Personalization" options provided for how the app interacts with us and it's environment. I've set it up to have a default colour and I've enabled the "dynamic toolbar colour" which would allow for the site colour to show up throughout the experience. One more thing I did notice that added a nice touch, was the animation option of how the window would swing into action when clicking on a link from within an app; None, Slide right, Slide Up. Take the time to look at how Chromer works in this short Google+ video I posted. 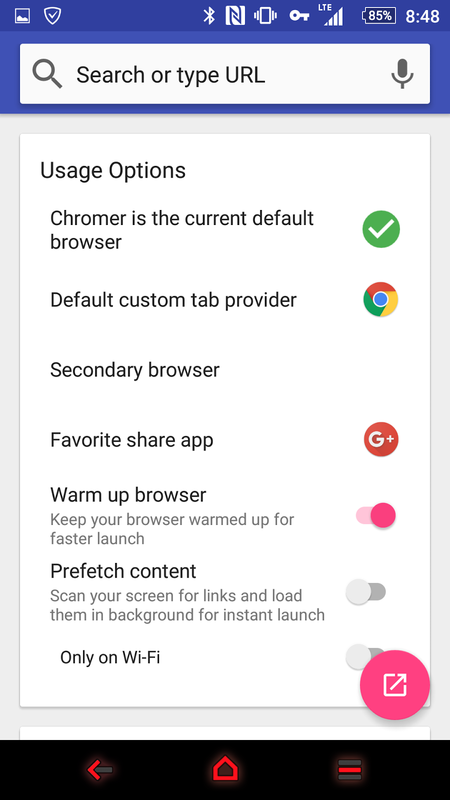 The overall changes made to Chromer just enhanced the current experience even more. I'm giving the developer a thumbs up on this one. If you happen to be interested in checking this out for yourself head on over to the Google Play store.